Belinda Fuchs, CPA, is helping thousands of people discover how “owning your money” creates certainty, security, and the life of financial independence they deserve. Belinda is the President of OwnYourMoney.com, a financial coaching and education company teaching individuals, couples and business owners how to make personal finance and small business success rewarding, manageable, and profitable. Her expertise is in high-demand as she hosts her own TV show, radio show, and is a member of the National Speakers Association. 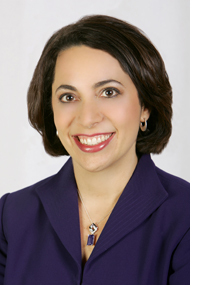 She is often called on as the financial guru for Boston’s ABC, NBC, and FOX networks, Yahoo!Finance, WomenEntrepreneur.com, Inc.com, SmartMoney.com, Univision.com, Today’s Financial Woman, RI Monthly, the Boston Business Journal, and even the Encyclopedia Britannica. Clients include Harvard Business School, BNY Mellon, MA Conference for Women, McGraw-Hill & Companies, Association of Administrative Professionals, the Bryant University Women’s Summit, Harvard University, Bentley University, Boston Area Real Estate Investors Association, YWCA 8th Annual Money Conference for Women, and the Visiting Nurses Association. In her newest product, INVEST IN YOURSELF: The 7-day System to Take Control of Your Money, Belinda personally coaches you with a step-by-step formula to reclaim your financial power and rebuild your bank account. Belinda’s ability to inspire action in others is fueled by her passion for helping people appreciate their self-worth and realize their financial goals.